What are the healthiest foods for kids to eat? From kohlrabi and watermelon to lentils and chickpeas, today’s guest rounds up the 101 healthiest foods every kid everywhere should put on their plates and into their tummies. 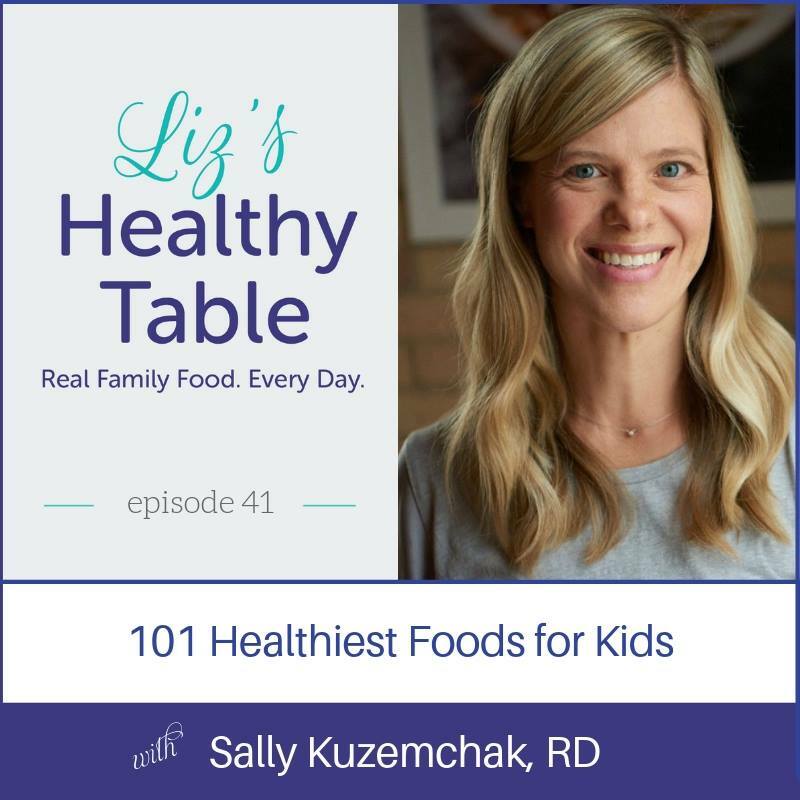 Registered dietitian, Sally Kuzemchak is a mom of two, founder of Real Mom Nutrition, and author of the awesome new book, The 101 Healthiest Foods for Kids. 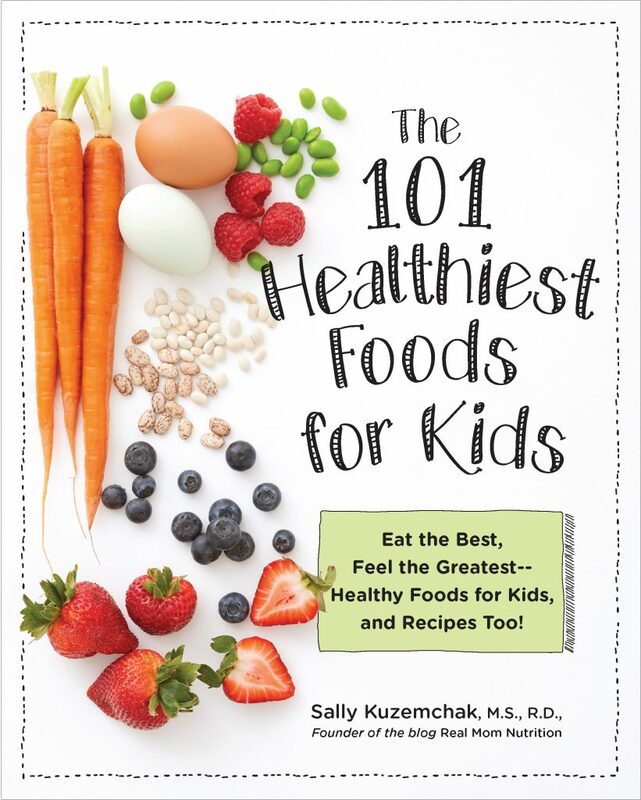 We’re giving away a copy of The 101 Healthiest Foods for Kids. Write a comment at the end of this blog post and tell me about the healthiest foods you feed your kids (happily without complaint!) and/or why you’d like to win the book. (U.S. entries only, please.) Winner picked at random on November 28th at noon. Check out Sally’s cookbook on Amazon. Sally answers another question about adding a sweetener like sugar, maple syrup, or honey to carrots. News flash—it’s OK to use sweetness, fat, and salt to help flavor vegetables. Why many moms have guilt and angst about feeding kids and Sally’s advice for adding ease to feeding kids. Our miracle IVF son is nearly 9 months, healthy and thriving! He is a fantastic eater! Thus far, his favorite foods seem to be lentils, white quinoa and green beans! He gobbles up everything! I would love to win this book to continue to provide loving, healthful meals to our little guy! How wonderful. Thanks for sharing! My little boy is not too picky. He actually loves sauteed spinach and mashed sweet potatoes. I would love to win this book to give me more ideas of healthy dishes I could feed him. My only grandchild is 18 months old. He loves Avocadoes and begs for “Cados” for his snack. My kids are pretty good eaters and will try most foods, veggies included. Surprisingly, my son will eat veggies over berries! My kiddos eat pretty healthy. They love green beans and will eat them for dinner every night if offered. My daughter love she steamed broccoli. Hummus is a second favorite. Raw vegetables. It’s something I’ve never really thought about using as a side for dinner before because I grew up with cooked vegetables as side dishes, but my kids really will eat raw celery or broccoli or carrots if I set them on the table for a meal. My daughter even prefers raw Brussel sprouts to roasted ones and usually asks me to save her 1 or 2 before I cook them. I have the world’s pickiest eater in my house! She likes a veggie one day and then not the next day! I’ve tried several methods for getting her to eat any food other than pasta, but no luck yet. I’ve finally gotten her to the point of willingly trying foods, but she never goes past that first bite. I use chopped baby spinach on tacos! Homemade plain greek yogurt! My three boys eat it every morning for breakfast and actually prefer it to the store bought ones. Do you make it in the Instant Pot? I’m curious! My 8- and 11-year-old kids love kale Caesar salad! My 2 year old loves broccoli. Usually it is frozen microwaved broccoli in a time crunch but it works! My 3 year old will occasionally eat TONS of roasted Brussels sprouts. I am so happy that my kids like salmon! I love that my daughter likes tomatoes and avocados. My kids love Lentil soup with pasta. My kids love fruit syrup: 1 lb of frozen berries, 1 tsp of lemon juice, and 2 Tbsp maple syrup. I simmer it frost and then purée it and they can have all the syrup they want. Good for pancakes and yogurt. My 7 year old loves broccoli and gala apples! I just found your blog, podcast, and IG. Following all! Thank you so much! I’m so glad you found me!! I hope you enjoy all of my resources and have success implementing them into your family’s life! My daughters (3y/o, 5y/o) each have their own tastes, so it’s important for us to try everything! My youngest can eat a family-sized portion of roasted brussel sprouts. My oldest prefers for her food to be manipulated as little as possible. We have “food groups” plates, and she loves choosing her own foods to place in each section: “crunchy” carrots, and frozen berries are among her fav fruits and vegetables. I would love to win this book because I do our grocery shopping online, and sometimes I have trouble dreaming up a new food for us to try without physically walking the aisles. I would love to do a challenge with my girls where we go in order through the book and TRY EVERYTHING! 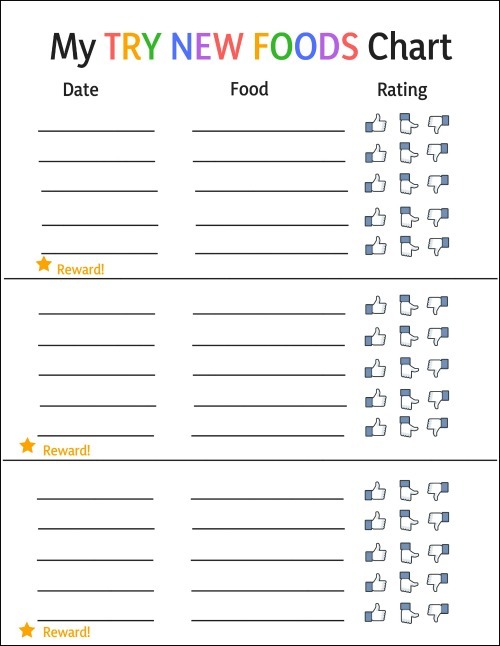 My little one is just about to start eating solids, and I would love to have a resource to help him start out on the right track with eating the healthiest foods (and hopefully loving them too)! I’m thankful my kids love roasted Brussels sprouts, cauliflower and broccoli. My three your old loves hummus, total win for mom! He’s a pretty tough eater so I would absolutely love a copy of this book to help me navigate healthy foods and find ways to prepare them! We recently discovered both boys love spinach smoothies. They are pretty good eaters but what one kid loves, the other hates! I’m constantly trying to find something they will both love. My kids love most fruit, but my younger two struggle with veggies. My middle son is super picky and has a hard time trying new foods even when everyone else is happily eating them. I’d love any tips from this book! Sally has so much great advice. Be sure to tune into my interview with her. And you might also like a few other picky eaters episodes that I’ve recorded including episodes 3, 18 and 27. Good luck! My three kids are healthy eaters. Some favorites are spinach, brussel sprouts, snap peas, peppers. I would love a copy of Sally’s new book as I don’t have a clue what to do about my youngest son’s eating habits. He eats a limited amount of foods and is pucky(very reluctant to try new foods). My oldest has a more varied diet and enjoys kale chips as one of his favorite healthy foods. Well, definitely tune in to hear my interview with Sally. Other picky eater-related episodes are Ep 3, 18, and 27. Hope they help! Our little girl loves salmon and will happily eat! I would love to win this book to try to continue to offer new healthy foods to our little girl! Baby carrots and hummus; I went to college with Sally and love everything she writes! They will eat all fruit. Also, carrots with hummus! My daughter loves broccoli! My son is much more picky. I’d love a copy of the book to help me figure out what he should be eating. It’s a terrific book! As for picky eaters, listen to my interview with Sally … and be sure to tune in to episodes 3, 18 and 27 as well!! Lots of ideas and inspiration. We eat so many of Liz’s healthy recipes that it’s hard to pick their favorite but I’d have to say a top one is soup. Whether it has beans, quinoa, lentils, pumpkin, squash, potatoes, broccoli, or ANY other vegetable, they’ll eat it all up. They like both blended and chunky soups. My kids really enjoy “Zoodles,” we have a recipe with peanut sauce that the kids LOVE!! Oh how fun. Tell me more about that recipe. I want to try it. Healthiest food that everyone likes is probably cauliflower. Would love to find more healthy ideas that win with everyone. My daughter loves to snack on plain black beans! She loves salmon! I would like to win this book to find out more ways to incorporate and try new foods for my family. My little guy loves frozen mango & frozen peas! I’m pleased to report that my 9 year old granddaughter loves sauerkraut, hummus, sardines, and seaweed! I’m dismayed by how often she has a lollipop in her hand when I pick her up from school – but so far she accepts my rule that she first has to eat something healthy (e.g., an apple, carrot sticks) before eating her sweet treat. Wow. Sounds like your granddaughter has very mature taste buds. Keep up the great work. Enjoy the podcast. Sounds like my show is right in your wheelhouse!! Crunchy bell peppers sound good to me! Do tune into hear Sally’s interview. She’s got lots of great advice. And while you’re at it, I think you’ll also enjoy Episodes 3, 18, and 27! I have 4 kids and they each have their own taste preferences. I serve veggies with every dinner, but theyvare most often left untouched on the plates by my children. I’d love some fresh ideas on how to get kids to eat veggies without bribing or shaming them. Bribing and shaming are sure to backfire. You’ve got that right. Why don’t you tune into Sally’s interview? I think you’ll hear lots of helpful tips. Also, podcast episodes 3, 18, and 27 are packed with strategies and inspiration for finicky eaters. Enjoy! We grow a lot of vegetables in the summer, then preserve them for all year long. The kids love our homemade tomato sauce and juice, and pickles are great too! How fun. I want to come to your house for dinner! I’d love to win this book because I struggle every day with my picky eater, 7 year old daughter. Her twin brother and older brother are much better eaters but she really struggles. My 6 year old stopped eating all the “better for you” foods he used to eat but the one constant which he still eats is berries-any kind-strawberries, blackberries, raspberries and blueberries. I’d like to know how to get him back on track with healthier or even a better variety of foods. Cooking with your son may be just what the dietitian ordered! Listen to podcast Episodes 3, 16 and 27. They are sure to get you inspired!! My daughter just loves kale chips and roasted chickpeas! Has loved the chickpeas since she was a toddler. When she comes home from school and smells them in the oven she’s thrilled (and so am I)! My daughter”s favorites are hummus and avocado. My son however has few favorites and as a teen is a competitive swimmer and water oolo player, so I’m desperate to find new things for him to try! I swore my efforts to feed my “baby” would not lead to picky eating. But, with teeth coming in late and her choking on everything when trying to gum at new foods, we did purees for too long. And, now she’s become that picky eater. We’ve exposed her and offered for her to try with no pressure but that’s a long road. 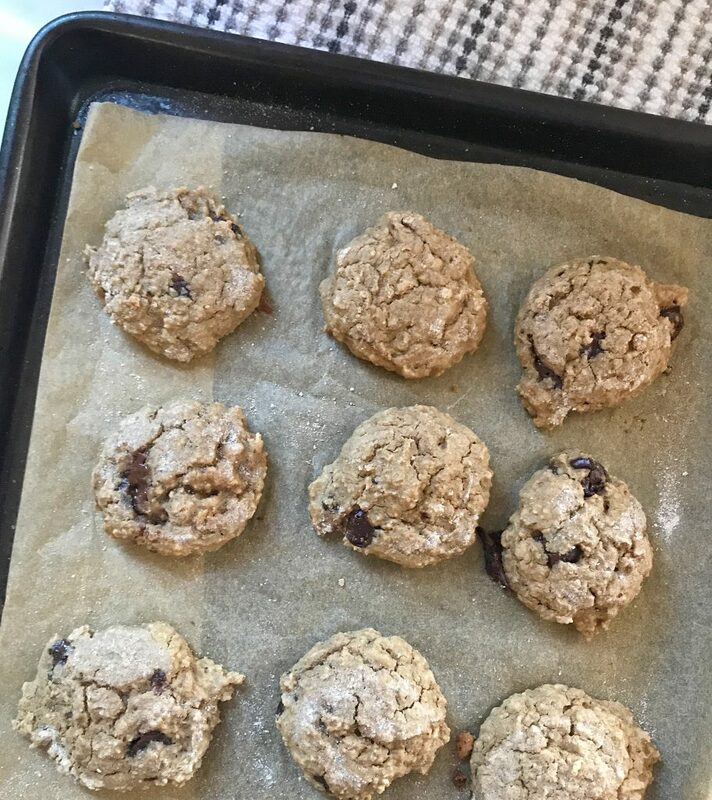 I’d love to have some new recipes that have healthy ingredients which kids like and hope that she’ll be willing to try them. Sally has some great ideas and I’d love to see what her book offers as tips. What a great idea. Do you freeze them and then reheat? Our kids love fish, nuts and berries! They inspire me to eat healthier and to continue working on feeding our family healthier foods because they can be so curious about different foods when we go to the grocery store! But we certainly enjoy baking and eating treats too! Your kids sound like great role models. Way to go! 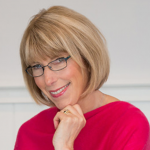 Hope you’ll tune in to Sally’s interview and more of my podcasts. There’s something for everyone on the show! Frozen wild blueberries! Straight from the freezer! There are lots of other things she likes, but she feels special ownership over this snack as she can thought of it herself and can “make” it herself too. For a 3 year old, it’s clearly a great feeling to be in charge of something. Ha! And pretty messy too 🙂 Hope you enjoy the podcast interview with Sally. Episode 3 is about picky eaters and the importance of cooking with kids. You might really enjoy that episode. Oh, and Episode 16 is another personal favorite. Tune in any time! I love to feed my kids quinoa bowls! They ask for them by name and love to put all different toppings on such as edamame and corn! I would love to win the book for more ideas to feed my kids, always love new ideas!! I really enjoyed this podcast !! My kids love beet hummus with carrots, broccoli and celery. We would love to win this cookbook to make the new recipes as a family and trying them. My 2 year old is a very good eater, last night she helped my husband cut up a cucumber and then ate three slices. She is also very into salads right now, eating raw lettuce and spinach almost every night. Our 1 year is a bit more picky, but we just keep offering all of the different foods. One food that our 1 year old does really like is eating raw apples, she only has two little teeth so she just scrapes little bits off! I would love to have more ideas to keep exposing them to new foods at young ages to hopefully have adventurous eaters! Thanks for sharing your apple story. I can picture your daughter now. Too cute! Hope you enjoy the podcast interview with Sally. Episode 3 also tackles the topic of picky eaters. I’ll be picking the winner tomorrow. I’m with you. I adore beets! Hope you enjoy the podcast with Sally. I’ll be picking my winner tomorrow. I have four sons and none are great eaters, so I would love to win the book for some new dinner ideas. Thanks! For my daughter, salad, carrots, broccoli and cauliflower are adventurous as she gets! My son eats everything and his healthiest favorites are tomatoes and blueberries. This book would be very helpful. My two-year-old son loves kale chips, and my daughter happily eats cucumbers and cherry tomatoes. We call them candy tomatoes. 🙂 I would love a copy of the book for ideas on kid-friendly dinner recipes! As an RD, mother of 8 and now a grandmother to eleven grandchildren, I love how much information is now available to young moms to feed their kids healthy meals and snacks. I would love to give your book free to one of my daughter’s or daughter-in-law for Christmas, then I don’t have to buy so many copies. Hahaha! I was making whole grain pancakes when it wasn’t fashionable to make whole wheat pancakes. But now, my children are making them for their kids. I have one grandson who eats hummus like ice cream. Thank you, Sally, for all that you are doing to make our lives a little healthier. My kids eat pretty healthy. My daughter loves broccoli and pickled asparagus (it’s very random, but true…and we consider it a “treat” vegetable). 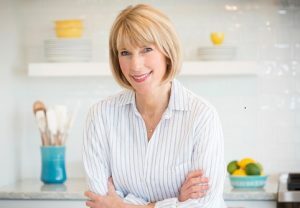 I love reading Sally’s blog and would enjoy learning more about what foods are best for my kids to eat! Pickled asparagus! You rock 🙂 I hope you get a chance to listen to my podcast with Sally … plus all the other episodes from the past!! My 11 year old is on the spectrum, so has a whole host of food aversions. But! She will drink green smoothies – so long as she can’t taste the spinach. You will love my show in mid December on kitchen gadgets, including the blender. We have lots of smoothie ideas on the show. Stay tuned! Thank you, I am an educator or preschool age children and parent support groups. I am preparing for our next topic on nutrition and snack ideas. And usually the families have questions about picky eaters. I appreciate your ideas and references to others. This book would go great in our library for our families to check out as we have a resource center. We serve about 40 families at our school. Thanks for sharing!